The Cumberland County Prosecutor’s Office (CCPO) is dedicated to serving the citizens of Cumberland County with quality services and leadership in law enforcement. The CCPO is the nexus of the counties criminal justice system, working in conjunction with our law enforcement partners, as well as our citizens and community leaders each and every day. These partnerships give us strength in our quest to make Cumberland County a place for all of our families to feel safe and prosper. In the quest to engage all of our county assets and bring our community even closer, the CCPO and the “Cumberland County Law Enforcement Advisory and Planning Board” developed the all new “Community Engagement Series”. During the course of 2016, the Community Engagement Series (CES) will be holding a series of meetings and gatherings where our law enforcement officials and our community can discuss topics and subjects that affect us all. These meetings are meant to open the lines of communication, educate the public and inform our law enforcement community about the issues we all face today. The CES offers an excellent opportunity for the community to learn about the challenges law enforcement face today and for law enforcement to learn more about the public’s needs as well as address any current perceptions of law enforcement in our community. The very first Community Engagement Series meeting took place on January 13th, 2016. During the inaugural event, many community leaders, advocates, citizens and law enforcement officials came out to exchange ideas and learn from each other. 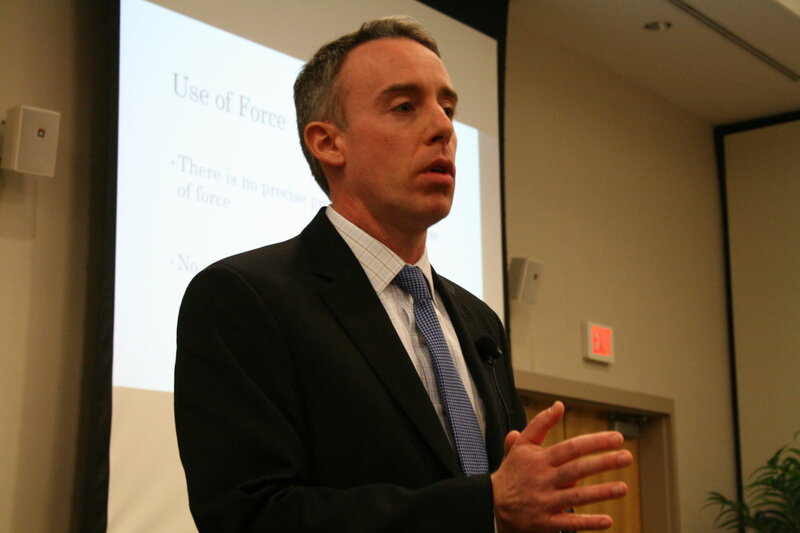 The topic, “Use of Force”, was presented by Lt. Adam Austino of the Vineland Police Department and helped educate the attendees about what law enforcement officers face in situations that they encounter on a regular basis. Lt. Austino gave a very comprehensive presentation about what “Use of Force” means to police and how it is used and why. The participants then enjoyed a healthy question and answer session with the Chiefs of Police from the Millville, Vineland and Bridgeton Police Departments, Sheriff Robert Austino as well as First Assistant Prosecutor Harold Shapiro and Cumberland County Prosecutor Jennifer Webb-McRae. Taking the steps that are necessary to bring our community and our law enforcement together are steps in the right direction. It is the goal of the CES to ensure that these steps make a very lasting and important impression in our counties history while creating a brighter future for us all. The Community Engagement Series will continue in March of 2016 and throughout 2016. To learn more, please visit www.njccpo.org/community.